Sad news today from Ashland: William Patton, the main man behind the scenes at the Oregon Shakespeare Festival from 1953 until his retirement in 1995, has died. Bill was 83 and had been in failing health for some time. A true Southern Oregonian, he was born in Medford and lived in the Rogue Valley most of his life. The mythology of the festival is that actor/director/artistic leader Angus Bowmer was the founding visionary, and he was. It was Bowmer who got things going in 1935, and when I began to go to the festival in the late 1960s and 1970s he was still around, still a quiet eminence, still a prominent spirit around the place. Bill was a gentleman in the truest sense of the word, always honest, always understated, devoted to the festival and its people and the audiences he considered part of the family. He was by nature a conservative man — I am not speaking politically here — who would think and think and think a thing through, and once he’d made up his mind, do what he thought good and necessary. No artistic leader could have asked for a better partner: Without Bill Patton, the Oregon Shakespeare Festival would not be the remarkable institution it is today. We disagreed substantively once, on the festival’s decision to pull out of Portland after a few seasons of operating a second company here. (That company spun off and became Portland Center Stage.) I thought it was a big mistake, but never doubted that Patton believed he was doing what had to be done — and the decision was hardly his alone, anyway. A few years later, he told me about how extraordinarily difficult it had been to talk his board and the Rogue community into making the move into Portland in the first place. There had been almost open rebellion, he said. A lot of people in Southern Oregon were convinced, no matter what he and other festival leaders said, that the festival meant to shut down operations in Ashland and move lock, stock and barrel to Portland. It was plain to see that years later, the memory of the discord still bothered him. From that perspective, adding a Portland company had been an act of courage. It was also plain that he wanted to explain himself, to set the record straight. Bill Patton was a decent man and an extraordinarily effective leader, and those two things were intertwined. The festival has posted two very good pieces about Bill, one by Stephany Smith Pearson and the other by Carl Ritchie and Hilary Tate, on its Web site; they’re well worth reading. Ashland, Ore.â€” William Patton, OSFâ€™s first general manager and executive director, died last evening, Thursday, January 13, 2011. Patton led the Oregon Shakespeare Festival from 1953 to his retirement in 1995. Patton was born in Medford, Oregon on September 22, 1927. The family moved briefly to Berkeley, CA, but returned to Medford where Patton finished junior high and high school, always active in drama activities. Pattonâ€™s studies at Stanford University were interrupted by two years service with the Army Air Corps. He returned to earn a degree in drama with a minor in journalism and spent his summers working at the Festival in Ashland. Following graduation and the close of the 1951 OSF season, he worked as a stage hand and production assistant at CBS in Hollywood. It was an interesting time as television was becoming a strong force for the networks. When Bill joined the Festival as a lighting technician in 1947, he, like every company member, did a variety of jobs. He even played Paris in Romeo and Juliet in 1949 and Prince John in Henry IV, Part One in 1950. In 1953 founder Angus L. Bowmer appointed Patton as general manager â€“ the Festivalâ€™s first full-time employee; in 1981 his title was changed to executive director. His marketing skills and financial care ensured steady growth throughout the more than 40 years that he helmed the organization, leading to the Festival becoming one of the largest theatres in the United States. Devoted to OSF from the beginning, Patton helped to build community support throughout southern Oregon for both the Festival and the arts. Upon his retirement in 1995, Barry Johnson of the Oregonian wrote, â€œPatton has been a successful administrator, but more than that he has been a forceful advocate for the Arts in Oregon in general and proved that kindness and compassion donâ€™t have to be handicaps in running an arts organization.â€ Patton was actively involved with the Ashland Chamber of Commerce, serving as president in 1963. Under his leadership, the Festival acquired a reputation for sensitivity, creativity, intelligence and caring. He had respect for the arts, admiration for talent, appreciation for the community and love of the audience. He was a master negotiator and accomplished his ends with dignity and poise. Patton was also able to lure many talented people to Ashland. Among those was Senior Scenic & Theatre Designer Richard L. Hay, now in his 53rd season at OSF. Appreciating the collaborative nature of theatre, Patton served alongside three artistic directors: Angus Bowmer, Jerry Turner and Henry Woronicz. Among his proudest achievements during his tenure were the building of the Festivalâ€™s performing spaces conceived by Richard L. Hay: the Elizabethan Theatre (1959), the Angus Bowmer Theatre (1970), the Black Swan (1977) and the enhancement of the Elizabethan Stage with the Allen Pavilion (1991). Patton also found his lifeâ€™s partner at OSF, Shirley Douglass, who came to OSF in 1958 to be part of the company. They were married in December 1958. They have three children (Kristin of La Grange, IL, Kent, of Ashland, OR, and Will of Portland, OR) and seven grandchildren. Shirley is known through the Ashland community and the Festivalâ€™s extended family as an actor and social and political activist of extraordinary talent, integrity and graciousness. In 1983 Patton and Artistic Director Jerry Turner went to New York to accept the Tony Award for regional theatre. Patton achieved a measure of notoriety for being identified as a â€œshow biz execâ€™ in the National Enquirer, dancing at the ceremony with long-time friend, Ginger Rogers. 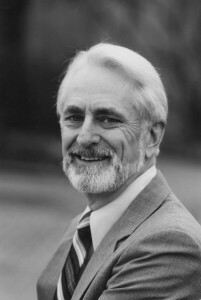 In 1993 Patton received the Oregon Governorâ€™s Award for the Arts, and at the 2010 Ashland Chamber of Commerce dinner, he was awarded Honorary Life Member. His life and work have also been honored by the Shakespeare Theatre Association of America, Institute of Outdoor Drama, American Shakespeare Center, Arts Management Magazine, Lewis & Clark College, and Southern Oregon University. A celebration of Pattonâ€™s life will be announced shortly. Previous PostBudget ax takes forty whacksNext PostWords to live by: revisiting MLK Jr.